Would The British Labour Party Investigate Seroxat, And The MHRA, If It Got Into Government? Interesting stuff from the British Labour party manifesto 2017 (see the Spectator for more here). Valproate has long been causing problems for patients, however Seroxat/Paroxetine has too, therefore I wonder would Labour be willing to investigate GSK and Seroxat? Furthermore, would they be interested in investigating the MHRA too? They might not get into power, so they might not get to investigate anything at all, but it’s nice to see a political party recognizing that there are many problems with the licensing of pharma drugs, the drugs themselves, and the regulators. Seroxat is a historic health injustice. It’s one that is on-going, and it’s high time that it’s put on the current political agenda..
Father Forgives His Dead Daughter’s Boyfriend For Her Paroxetine (Seroxat/Paxil) Induced Murder ..
Quite an amazing story about a truly tragic ‘paroxetine induced murder’ that occurred in the Netherlands. I look forward to the book. The capacity of the human heart to delve deep into the depths of compassion never ceases to inspire. My daughter Renske met her boyfriend Samarie on the train. She was heading from the Netherlands to Switzerland; he was an asylum seeker from Benin. They got chatting and exchanged phone numbers. That was how it started. They had a good relationship. He was attentive and they were very respectful towards each other. They spent holidays with me and my wife Lieuwkje. Just before midnight on 13 April 2011, I saw on the news that a girl had been killed in Baflo, where Renske lived. About an hour later, they showed a picture of the scene, and I recognised her flat. I called the police and said, “I think my daughter is the victim of the incident in Baflo.” At 5am, two officers came to the house and we learned what had happened. Samarie had picked up a fire extinguisher in the hall and beaten Renske to death. When an officer tried to arrest him, he grabbed his pistol and shot him dead. Samarie was then shot by police five times and taken to hospital. I couldn’t believe it; in the two years that we’d known Samarie, I had never seen him lose his temper. It was so far removed from the man we knew that we couldn’t make sense of it. It was immediately clear to my wife and I that he needed help, and we wanted to try to be there for him; to understand what had happened. Initially, I thought it was connected to Samarie’s asylum claim. The day before the killing, his final appeal had been rejected and he was told he was being deported. Five weeks later I went to his flat and found a strip of pills. I knew Samarie was taking antidepressants, but I didn’t know what sort. The label said paroxetine, which is a selective serotonin reuptake inhibitor (SSRI), and as a psychologist I knew there are risks associated with it. From talking to Samarie’s psychiatrist, I discovered that he was reducing his dose. I read that in a small number of cases there have been severe side-effects to SSRIs, including outbursts of extreme violence, usually when the dose is being changed. After a month or two, we contacted his lawyer, but we couldn’t see Samarie because he was still in the prison hospital. We wrote him a letter and he replied saying how sorry he was. In September we visited him for the first time. We wanted to see for ourselves that he was genuinely remorseful. Samarie came into the room in tears, and he and my wife Lieuwkje hugged each other. I shook his hand. We didn’t talk a lot. He was still limping from his injuries. From then on, we visited once a month. At first, we talked about what had happened with Renske. He said he’d been in a state of anxiety all day and had tried to get help. They had an argument and she tried to stop him walking out; that was when he hit her. When I asked if he had an explanation, he said: “No, you know how much I love her.” The visits allowed us to bear the grief together; it was our way of coping. The idea of writing a book together came to me in 2014 after Samarie’s trial. He was sentenced to 28 years in prison for double murder. I thought, the circumstances of my daughter’s death are so extraordinary that I need to find a way to put it in words. Renske was a caring, modest young woman. She and Samarie had dreamed of living together one day. As well as losing her, we had lost them as a couple. Samarie’s sentence was reduced on appeal to five and a half years. Instead of premeditated murder, he was found to have diminished responsibility for the killing of Renske and partial responsibility for the death of the police officer; the appeal court ruled that he had been in a psychotic state. He has now completed his sentence, and been transferred to psychiatric care. We continue to visit and support Samarie. It’s not about whether we forgive him. What happened can never be erased, for him or for us. I can understand people thinking it’s unbelievable that we can even look each other in the eye, but this is our way of dealing with it. I’ve never thought it was the wrong decision. According to a recent FDA Enforcement Report, the drugmaker this month voluntarily recalled the three lots, amounting to 562,883 of the inhalers used by patients with asthma or COPD to prevent bronchospasms. The class II recall again is because the company discovered an elevated number of units that were out of spec for leak rate. The company in March had recalled three lots amounting to 593,088 inhalers. This brings the total to 1,155,971 units, which a GSK spokesperson pointed out amounts to about 4% of total US annual Ventolin volume. The inhalers were made at GSK’s plant in Zebulon, North Carolina. GSK in late 2015 recalled nearly 130,000 Ventolin inhalers over a similar issue. In an email Thursday, the GSK spokesperson said the extended voluntary recall “is due to product complaints relating to overly inflated overwraps or pouches”. He said that could could indicate leaking, which may result in the inhaler delivering fewer doses than anticipated on the dose counter. The company again pointed out the recall is not to the consumer level, meaning patients can keep any Ventolin inhalers they have on hand. The voluntary recall is to the retail and wholesaler level, so products are being removed from those channels. “GSK is committed to supplying high quality product and patient satisfaction, and we sincerely regret any inconvenience this extended voluntary recall may cause,” he said. Ventolin continues to be a strong-selling product for GSK, which is adding capacity to its production line for the product. While GSK’s top-selling respiratory drug Advair turned in fading sales in 2016, Ventolin had a 23% jump to about $527 million, as a competitor struggled with supplies of a competing COPD drug. In February, the U.K.-based company informed local authorities it intended to build a $137 million, four-story facility at its site in Scotland for the production of salbutamol, the API in Ventolin. Theresa May And GSK: Is This Why GSK Get Away With Decades Of Unethical Corporate Behavior? Seems to me, it all boils down to economics. When you have the prime minister of the UK, effectively bolstering the status of a company like GSK (a huge asset to the UK economy) perhaps that also helps the company to believe it can operate above the law, morals and ethics? Does Theresa care about Seroxat ? Does she even know anything about it? Does she know about GSK’s decades of unethical behavior? Or Greg Thorpe’s Department of Justice Complaint? (the details of which would make your hair stand on end). These are recent speeches from UK prime minister Theresa May at GSK’s Maidenhead factory. Seroxat/Paxil/Aropax (Paroxetine) : The Anti-Depressant that makes you want to kill yourself!.. I didn’t get much further. It felt like several GSK lawyers popped up, addressing the judge with words to the effect that he’s talking about banking your honor, this is not his area of expertise. The judge accepted their objections and I didn’t get to complete the analogy. Nobody knew what I was talking about anyway – pounds? What are pounds? Judge Hart also ruled out the following image. So the jury never got to see it. A lot of my testimony centered on working through each of the ways to hide the data listed here. The exhibit couldn’t be shown but this is what was covered – in some ways too well. There were documents showing correspondence between GSK and FDA on many of these points leaving the jury wondering whether GSK or FDA were more to blame. Many of the things that were done were shocking. GSK and other companies dumped withdrawal related suicidal acts into the placebo arm of trials, inflating the risks of placebo and breaching FDA regulations in the process. A good deal of this was so blatant that the jury must have been left wondering whether FDA reviewers were asleep or out to lunch. Suicidal events were coded under the heading of emotional lability. When a journalist and lawyers independently spotted this coding trick and it became a public issue, emails circulated within FDA asking what emotional lability actually was, and where it had come from. But Andy Bayman for GSK could show the jury the documents sent into FDA which showed suicidal events clearly coded as emotional lability. This naturally cast doubt on whether FDA could have been as ignorant of what was going on as FDA head honchos later claimed to be. Another egregious trick was the use of patient exposure years. This gives rise to the Space Shuttle fallacy. If you calculate lives lost per miles traveled the Space Shuttle may be the safest means of transport in the universe. But it takes a brave person to go on one. This is because in terms of exit from and entry to earth’s atmosphere the shuttle is highly risky – just like antidepressants where its the starting and stopping that are the problem. GSK and other companies continued some people who were happy as clams on their paroxetine for lengthy periods of time and mixed these with the patients having difficulties to dilute the problem. All of sudden, per year on treatment, the antidepressants looked safe. This is a legitimate approach for some problems but not for this one. Another trick was putting suicidal events in a neurological category that also included dizziness and headache. These happen so commonly they drown out the signal from suicidal events. Every time a maneuver like this was exposed, GSK looked bad. They looked like they owed the jury and the public money – a million dollars. The problem is though, they hold all the data. No one could give the jury the data from these GSK trials and say “here you are – its not rocket science – you work out what this data shows”. While this is the case GSK effectively owe us Billions and its us who have the problem. They own us. And don’t seem to be under any onus to stop owning us. But GSK interrupted my efforts to lighten the jury’s day by making this remark. A Court is not a place for this kind of thing. Why would anybody trust GSK? Would you trust a felon? 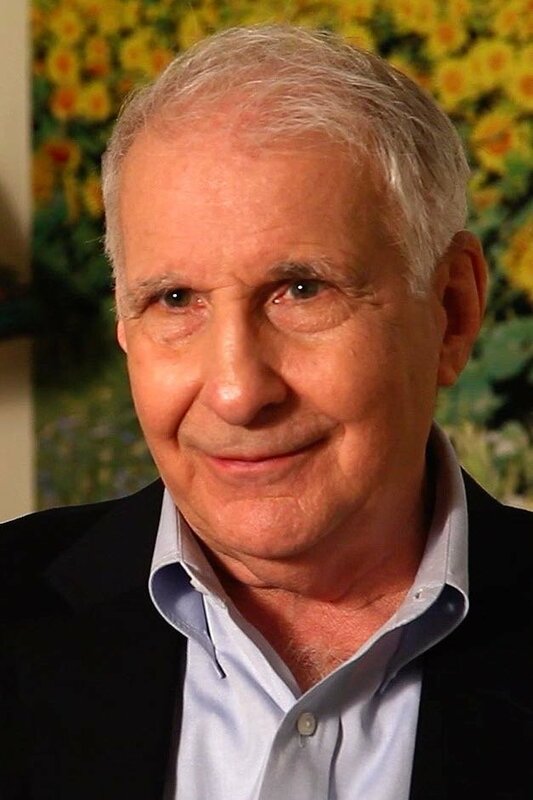 See Dr. David Healy’s excellent new post about wider implications of the Stewart Dolin Paxil induced suicide trial. “……The regulatory history of Paxil and the other SSRI’s was almost Byzantine. For years they carried no warnings of a risk for suicide. In 2004, after thousands of troubling reports, a Black Box warning was finally issued for children and adolescents. A number of medical experts felt the warning should apply with equal urgency to adults. However, in 2007, the FDA decided on a uniform warning for all antidepressants, old and new. This was the “24 and under” label attached to both brand-name and generic Paxil in 2010. This suited GSK just fine. The FDA invited the company to discuss whether additional warnings were needed for Paxil, but GSK never took them up on it. Editorial Note: This is part three in the Change in Chicago series covering the Dolin trial and its implications. Like part 1 it is written by Johanna Ryan – The Dolin Verdict and Playing Go. By twenty-first century American standards, Stu Dolin’s medical care was close to ideal. That’s a hard idea to swallow, given what happened to him in the end, but it’s true. The real paradox is why it wasn’t enough to save him – and how his doctor became a victim as well. In June 2010, while taking a generic version of the antidepressant Paxil, Dolin jumped in front of an oncoming subway train in downtown Chicago. His family was convinced that the medication had caused his suicide. Last month, a federal jury agreed. They found GlaxoSmithKline (GSK) liable for Dolin’s death, and awarded $3 million to his widow Wendy – two million for her own loss, and one million for Stu Dolin’s own suffering in his last week of life. Few people succeed in suing the drug company when a loved one dies from the effects of his medication. It’s far more common to sue the prescribing doctor. Plenty of lawyers are willing to take on a malpractice insurer with limited loyalty to the doctor, and a lively interest in a reasonable settlement. To face off against a multinational corporation with an unlimited war chest, which will fight like hell for the reputation of its product, is something else entirely. An even bigger barrier is something called the Learned Intermediary Doctrine. Under American law, drug companies have no obligation to level with you, the patient, about the potential hazards of the drug. Their only obligation is to tell your doctor about those risks. He or she is then expected to function as a “learned intermediary” – a sort of educated bodyguard who will tell you what you need to know, in language you can understand, and see to it that no harm comes to you. The drug’s official label (that enormous, technical document folded up and stuffed into the drug package) is written with your doctor, not you, in mind. But what if that official label does not tell the whole truth about the drug’s hazards? That was the situation faced by Martin Sachman, M.D., Stu Dolin’s family doctor, who became a key witness in the Dolin lawsuit. That’s not Martin Sachman in the picture at the top of today’s blog – it’s Robert Young in the title role of Marcus Welby, M.D., the popular prime-time TV drama from the 1970’s. To most of us, Dr. Welby represents the family doctor we wish we could have – the one our parents had in the good old days. He was a settled presence in the neighborhood; he’d known you and your family for years. You could go to him for advice on just about anything, and you tended to trust what he told you. For Dolin, Marty Sachman was that kind of doctor. Since about 2005, Sachman has had what’s known as a “concierge” practice. For an annual fee of about $2,000 (over and above their usual insurance costs), patients can get something close to a Marcus Welby level of care from a doctor of this type. They can be reached on weekends, may even make house calls from time to time, and you’re almost never limited to a ten-minute appointment. Sachman had been Stu Dolin’s doctor for at least ten years. He was also a close personal friend. (That’s unusual enough these days that attorneys rushed to assure the jury there was nothing “unethical” about it. A generation or two ago it was fairly common, especially in small towns.) Often, faced with a difficult medical decision, there’s one question we really want to ask the doctor: Would you give the same advice to a loved one or a best friend, if they were in my shoes? Mostly, we don’t have the nerve to ask. Stu Dolin was lucky enough to know the answer would be yes. Most family doctors take that Learned Intermediary business fairly seriously. It’s one reason why they refrain from handling “specialty” drugs for complex or serious conditions, which may require expert management. Chemotherapy for cancer; biologic drugs for Crohn’s disease, MS and other autoimmune disorders – those are best left to specialists. When he began practicing medicine in the 1980’s, Sachman explained, antidepressants were in that category. The older ones were more problematic, with more side effects, and were reserved for people with relatively severe symptoms. Rather than try to treat such patients himself, he’d refer them to a psychiatrist. This changed when Paxil, Prozac and the other SSRI drugs came out in the early 1990’s. They were depicted as being safe enough to be handled by general practitioners, and a reasonable option for patients whose troubles didn’t warrant seeing a psychiatrist. By the mid-2000’s, this had become the first-line option for dealing with both depression and anxiety. As Dr. Sachman saw it, if a patient had mild to moderate depression in response to some trouble or stress in his life that was a “reactive” depression for which he could prescribe SSRI’s. If they had serious problems with sleep and appetite, a slowed-down or unusually agitated appearance, and an inability to function in daily life, that was true “clinical depression,” and they should see a psychiatrist. Dr. Sachman knew Stu Dolin well, and the anxiety he complained of in June 2010 did not alarm him. Stu was just going through “one of his stress periods, on account of his work responsibilities. He seemed to be getting through it like he did the other times.” Dr. Sachman’s diagnosis was situational anxiety. A drug like Paxil could help people get through a rough period like this. The condition was fairly benign—and like the overwhelming majority of his colleagues, he considered Paxil to be a fairly benign drug. By 2010, the official label for Paxil gave physicians no reason to doubt that assessment – at least for adult patients. It warned that any antidepressant could trigger agitation and suicidal impulses in children and youth up to the age of 24. However, it also stated that “short-term studies did not show an increase in the risk of suicidality with antidepressants compared to placebo in adults beyond age 24,” and showed lowered suicidality in those over 65. The regulatory history of Paxil and the other SSRI’s was almost Byzantine. For years they carried no warnings of a risk for suicide. In 2004, after thousands of troubling reports, a Black Box warning was finally issued for children and adolescents. A number of medical experts felt the warning should apply with equal urgency to adults. More importantly, it never fully shared with the FDA—and still less with doctors in the community—what it knew about the real risks of its product. In fact, GSK had known since 1989 that its drug could trigger akathisia, an agonizing combination of physical restlessness and emotional turmoil that could lead to suicide. The risk applied to both teenagers and adults; at least twenty suicides had occurred in patients on Paxil in clinical trials, the majority of them in people over age thirty. Marty Sachman’s anguish—and his sense of betrayal—was apparent to everyone in the courtroom. Physicians like himself, he said, “rely on truth and honesty from pharmaceutical companies, and to falsify information or hold back information is totally criminal. How can we treat people effectively and safely if we can’t depend on that?” They couldn’t. Instead, he had prescribed a drug, and a patient had died. That alone would have been traumatic for any honest doctor; that the patient was his best friend made it devastating. It was not like being a Learned Intermediary; it was more like being a hostage. So what about the average Joe? Dr. Sachman never got the chance for a follow-up visit with Stu Dolin; within six days of starting Paxil, he was dead. If he had, it’s just possible he could have spotted his longtime patient’s real problem. Maybe even stopped the Paxil. We’ll never know. In 2010, the year Stu Dolin died, doctors wrote 259 million antidepressant prescriptions. For most patients, who don’t have access to anyone remotely resembling Dr. Welby, the situation is even scarier. They may get a script for an SSRI in a ten-minute encounter with an overworked stranger, based on a checklist left in the waiting room so that every patient can be “screened” for depression. The potential number of doctors taken hostage – and patients tossed overboard – is hard to imagine. I have to think genial old Marcus Welby, M.D. wouldn’t stand for it. What about us? Vicky Cornell, the wife of Soundgarden singer Chris Cornell, issued a statement Friday morning where she remembered her late husband, who died Thursday morning at the age of 52, and speculated whether his suicide was the result of taking too much of his anxiety medication. “Chris’s death is a loss that escapes words and has created an emptiness in my heart that will never be filled. As everyone who knew him commented, Chris was a devoted father and husband. He was my best friend,” Vicky wrote. However, following Soundgarden’s concert Wednesday night, Vicky noticed a change in her husband’s demeanor when they talked on the phone after the show. 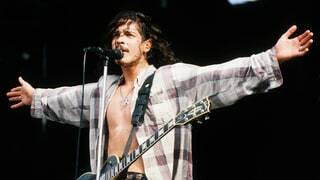 Pasich added that side effects of Ativan include “paranoid or suicidal thoughts, slurred speech and impaired judgment”; Vicky Cornell noted her husband’s slurred speech following the Detroit concert in her statement. Hours after Cornell’s death at a Detroit hotel, a medical examiner’s report confirmed that the singer had died by suicide. A Paroxetine (Seroxat/Paxil) Withdrawal Story From James Moore’s Podcast Series… “All Hell Broke Loose”…”My Dreams Became Nightmares”..
How the executives at GSK can sleep at night when they know that people are suffering in this way- and have been for decades- is beyond me.. Professor John Reed: “Psychiatry sold its soul to the pharmaceutical industry”..
Just wanted to highlight James Moore‘s excellent Podcast series about psychiatric drug withdrawal and related issues. Check them out on Youtube, below is an interview with Prof. John Reed and his views on psychiatric drugs and the pharmaceutical industry.